With the launch of the new Scoring Wheel, we wanted to create some fun art that showed off the power of a score line! 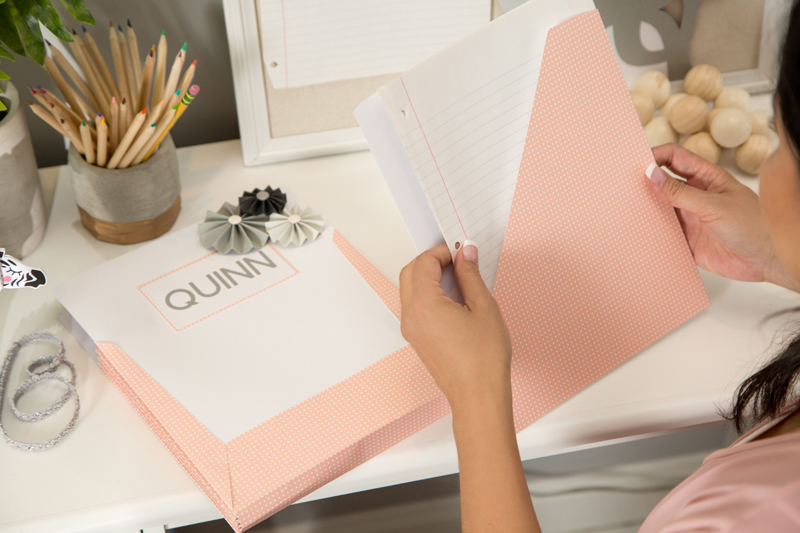 I imagined a basic folder that was scored in half to create a fun back to school project that everyone could create in a few minutes. To me this was a great idea, to the illustrators, they thought it needed a little more creativity! I am always amazed at what our illustration team comes up with! From my bland folder idea came this creative accordion-like folder with a useful insert that prevents your little’s artwork from coming home all crumpled up! The majority of your time will be spent cutting all of the pieces for this project. 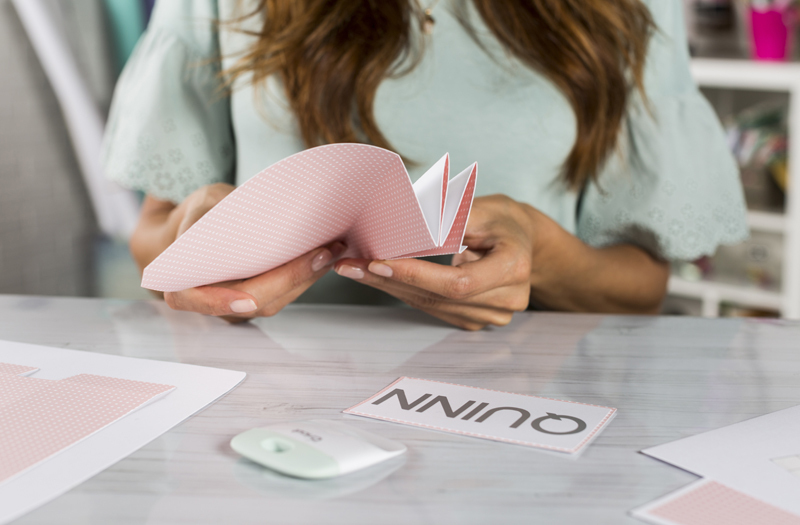 If you want to make this project even more durable, you can laminate your paper before you cut your pieces! The Scoring Wheel can score through laminated materials without a problem! If you opt to laminate your material, please use an extra strength glue when assembling your project. Follow the onscreen instructions to cut each piece. The Cricut Maker will prompt you to switch between the Scoring Wheel and Fine Point Blade. Note: The Scoring Wheel is only compatible with the Cricut Maker. 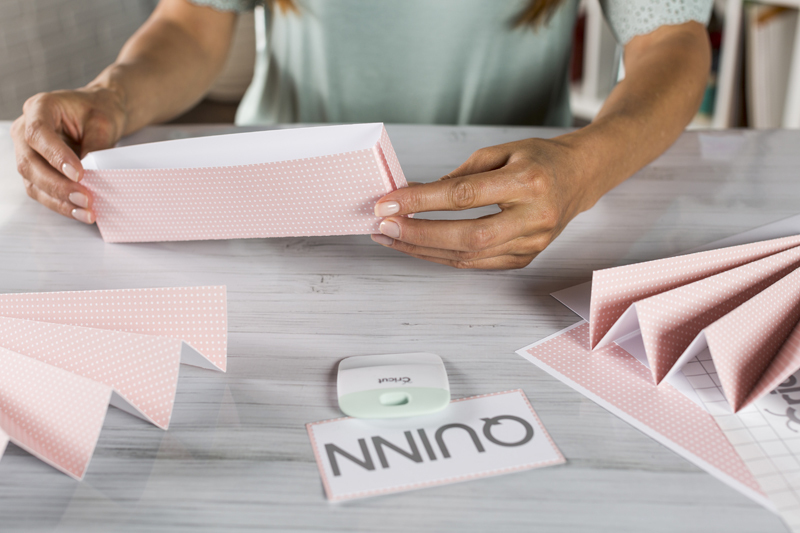 Using the scored lines, fold your pink pieces back and forth to create a fan-like object. Next, fold the base of your folder using the score lines as your guides. 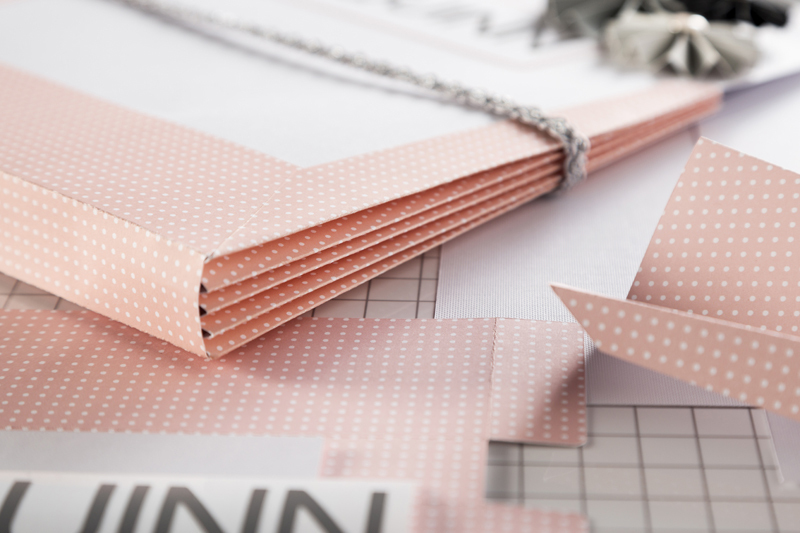 Using your favorite adhesive, glue the pink tabs to the front of the two largest white pieces. Note: there are two different sizes of white pieces! The two larger pieces are used for the assembly of the accordion folder and the two slightly smaller pieces (I mean SLIGHTLY—it is a very small difference) are used for the inside folder. I used a combination of a high-temperature hot glue and an adhesive tape runner to assemble this project. I covered all of my tabs with my adhesive runner and then went back in with a hot glue gun to make sure everything was very secure! 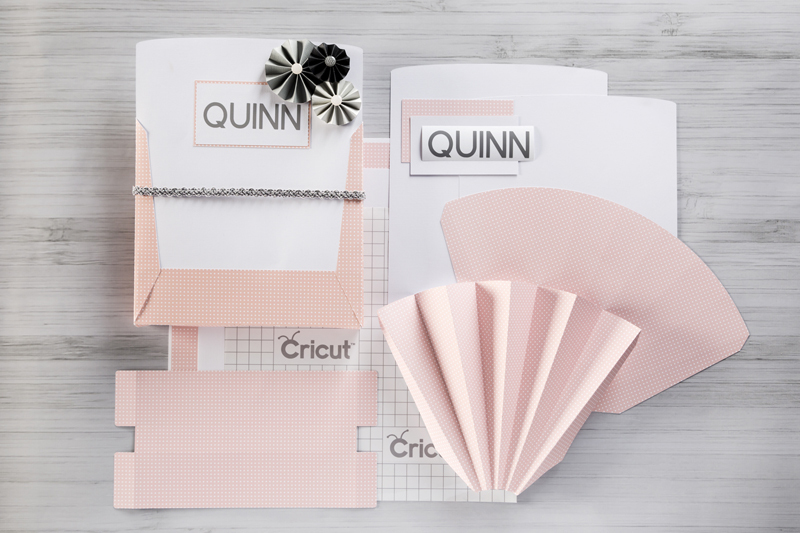 Assemble the inside folder by gluing the pink pocket to the smaller white piece and then use the additional white piece to cover up all of the tabs on the back. You can use your adhesive tape runner or spray adhesive to adhere this back piece. 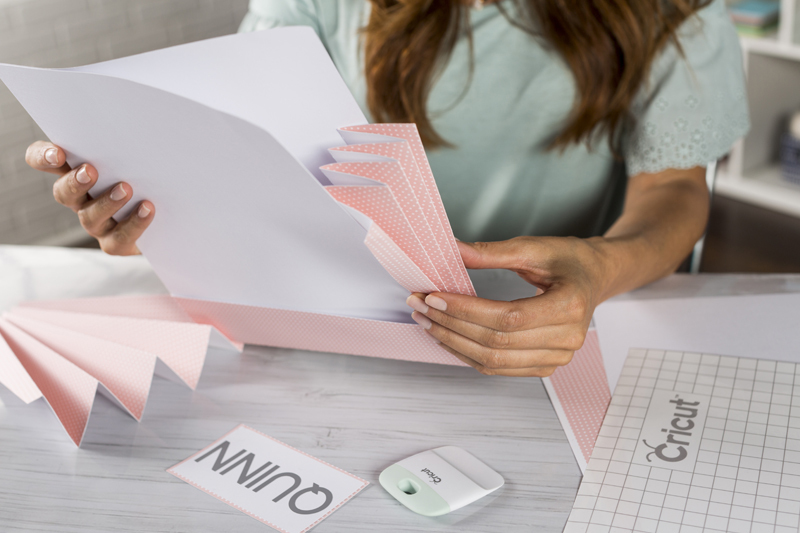 If you want your folder insert to be double-sided, you can cut an additional pocket for the opposite side instead! Glue the small white rectangle to the slightly larger pink rectangle. Use a piece of transfer tape to adhere the vinyl name to the top. Then glue this piece to the front of your folder. Finish your project by assembling your rosettes! Check out this video to learn everything you need to know about assembling a rosette. I finished mine off with some fun enamel embellishments and used hot glue to attach to the front of my folder! 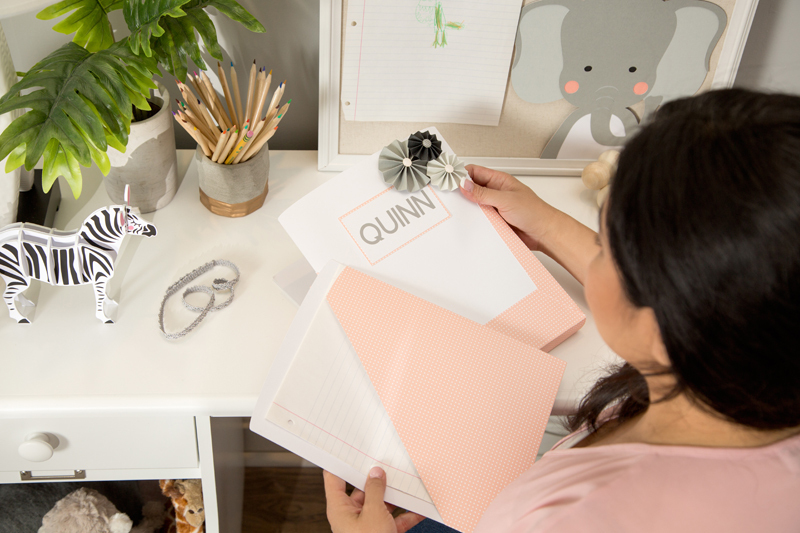 While the rosettes are super cute, if you plan to toss this folder in a backpack over and over, I would recommend leaving those off so that your project will last longer. Secure everything with decorative elastic or use a ribbon with a hook and loop closure! 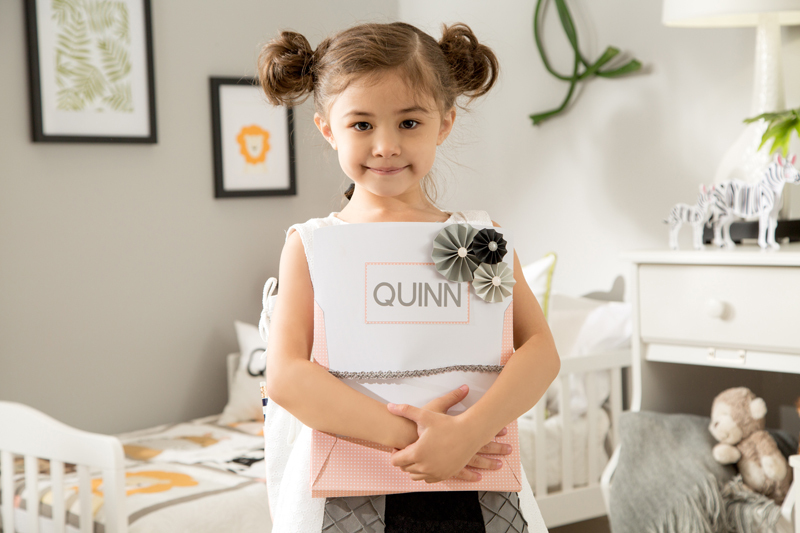 Now your little one is all ready for school and her precious masterpieces will make it home to you in pristine condition!